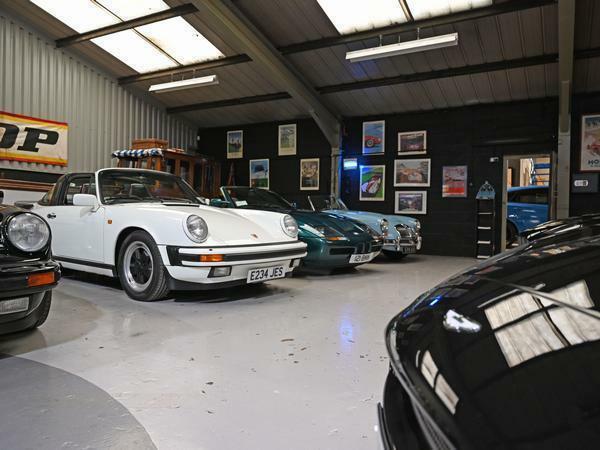 A wonderfully original 930 911 Turbo in silver with blue leather has just rolled into the car park. Sporting a little Cotswold mud on its arches and alloys, it’s effortlessly cool. On any other day, and at any other place, it would be the sort of car you’d spend several minutes admiring. Today, it’s all a bit, well, meh. 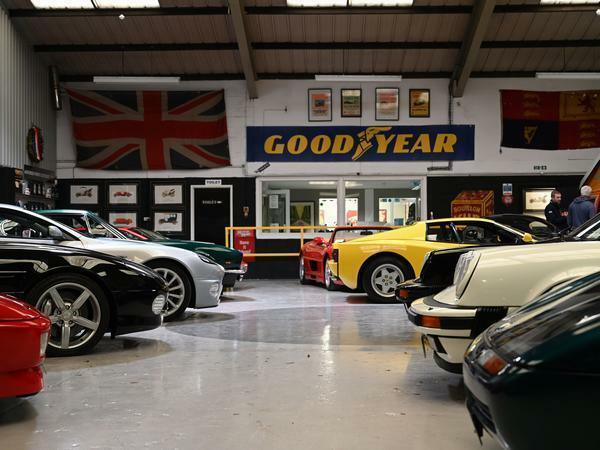 That’s because we’re at the Classic Motor Hub – and there are only so many hours in a day. Shed would no more be seen at a motor show or a car museum than he would at a zoo. For him, animals and cars are meant to live and move. A dog’s home, however, that’s different. There, the inmates have a chance to escape and to bring vitality and pleasure to a new owner’s life. This is what makes The Hub special. There are no dogs here, but the air is rich with pedigree, and not all of the metal on sale is at silly money. For the casual visitor, someone who wants to buy or sell, or someone who wants their existing vehicle detailed, a visit to CMH really is a Willy Wonka golden ticket experience. Now that it’s being used for vehicle and ephemera sales and storage and as a venue for regular events, the 5-acre ex-RAF Bibury WW2 fighter command base in the Gloucestershire countryside could easily be described as a kind of condensed Goodwood. 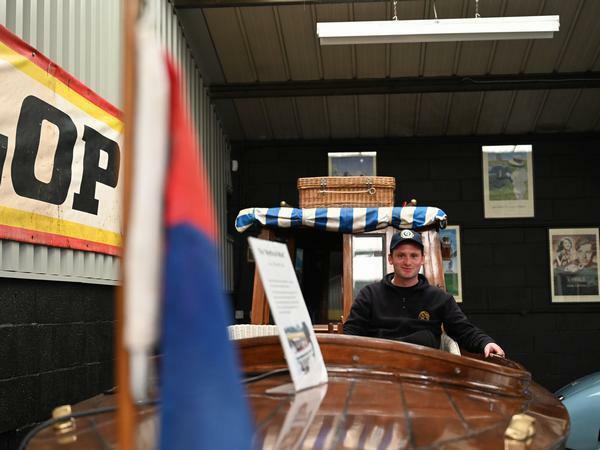 Unlike Goodwood, there’s no racing, but also unlike Goodwood it’s free for all motoring enthusiasts to visit. You can spend half a day or half your life here and never get bored. Nothing that is for sale in the ‘blister’ aircraft hangar is roped off. 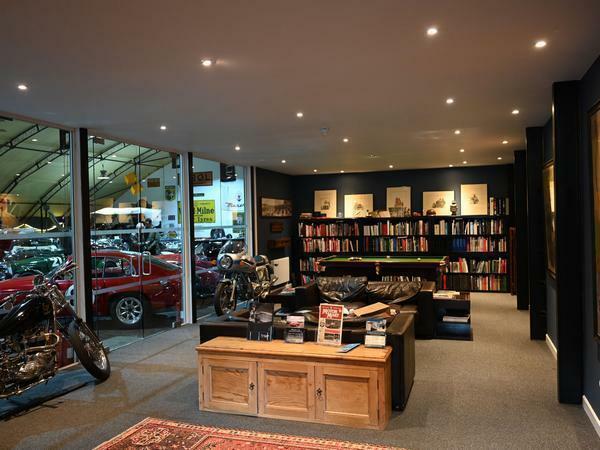 Go in there with the vague air of a potential buyer – and the motorbikes start at mid-four figures – and you’ll find none of the stuffiness that you might expect. The staff are fired up, full of knowledge and friendly – and that goes double for the boss, Martin Chisholm, a highly approachable chap who cut his classic car teeth in the London mews motor scene (think Coys, Nick Mee, Gregor Fisken, Dan Margoulies, Chris Drake) and who has huge auction experience with all the biggest names in the industry. 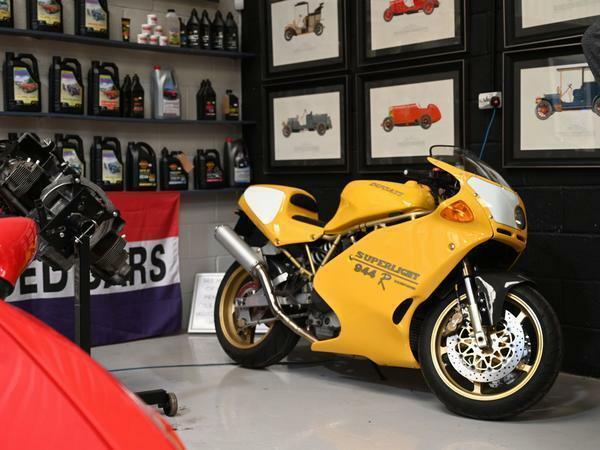 His partners at Classic Hub Motor Sales are Sales Manager Angus MacCurrach, who has an enviable collection of historic specialist-framed Japanese racebikes, and Richard Wrightson, who has been working with Martin for the last 12 years. Right, it’s time to get stuck in on this feature. Plans have been carefully laid. PH’s man of many talents Sam has arrived with the official PH Box Brownie camera. We’ll be in and out in an hour. It will be a surgical strike. That plan lasted for less than a minute. Several hours later, with very few of the scripted questions asked and eyes stuck on max goggle, your PH servants are not only spent but also looking at a mammoth pic editing task and transcribing hours of fascinating but totally unstructured recorded chat. One thing we did manage to stick to was the plan to ask every member of staff to nominate two fantasy take-home vehicles from CMH’s on-sale stock. One to be a cost-no-object Lottery win choice, the other something at least vaguely affordable. The first bod we put that question to was workshop manager Eddie Williams. 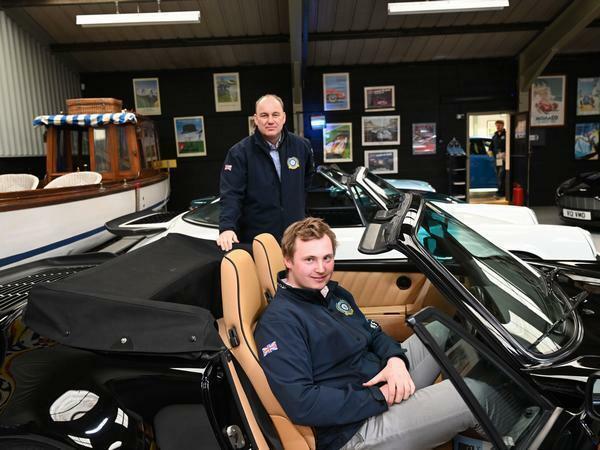 Like most of the people working here, he looks young enough to be Shed’s grandson, but without hesitation he became one of several staff members to choose CMH’s D-Type Jaguar as his Lottery win car. His fantasy daily was a steam-powered Edwardian riverboat (now converted to electric). 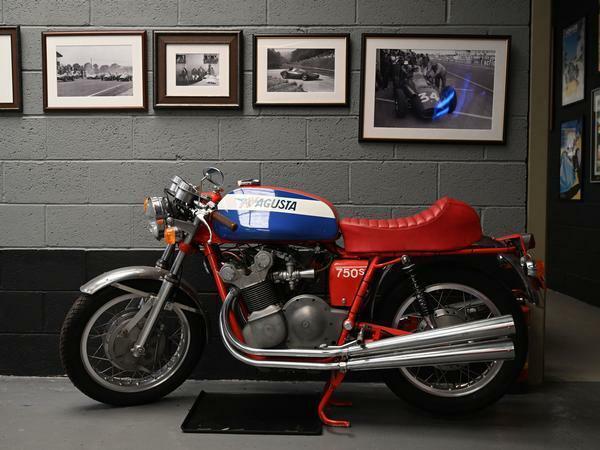 Charlie Metcalfe, son of a motoring journalist you may have heard of, is a bit of a biker and was gutted when a rather lovely 2500-mile 1975 Morini 3½ went out of the door recently for very sensible money. He totally understood his CMH colleagues’ love for the D-Type, and would happily have signed up for that as his money-no-object choice, but in the spirit of being different he opted for the Aston Martin 1932 LM8 works Le Mans car, winner of the Rudge Whitworth Cup that year and in single ownership since 1955, when it was bought for £50 plus a Fiat Topolino. It’s worth a bit more than that now. 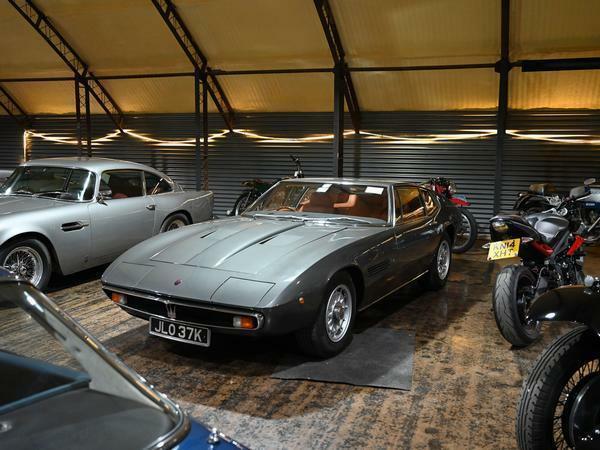 Charlie also has a soft spot for the elegant Lancia Aurelia B50 Cabriolet, the 1951 Geneva Motor Show car, up for £50 short of £200k, and for a stunning Jersey-based 9900-mile 1972 Maserati Ghibli at just under £160k. Fans of CAR magazine in the glory days of Nichols and Cropley might remember Adam Stinson. He was the mag’s art director. His son Ben is CMH’s Marketing and social media man. Ben’s choices from the CMH stock? 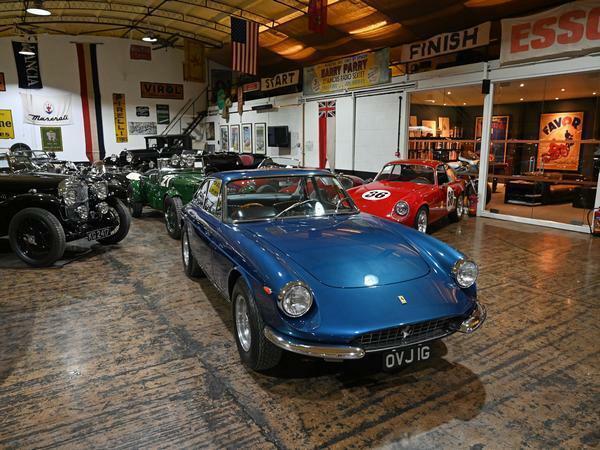 At the real-world end, a horribly tempting 13k-mile Ferrari 355 Spider manual at a whisker under £80k and, for about seven and half times that, a superb OSCA 1600 GTS Zagato, the jewel-like 1962 Le Mans works entry car and the only Zagato without that style house’s trademark double-bubble roof. Here’s some evocative home movie footage of it rubbing shoulders with the odd 250 GTO in the Le Mans pits. 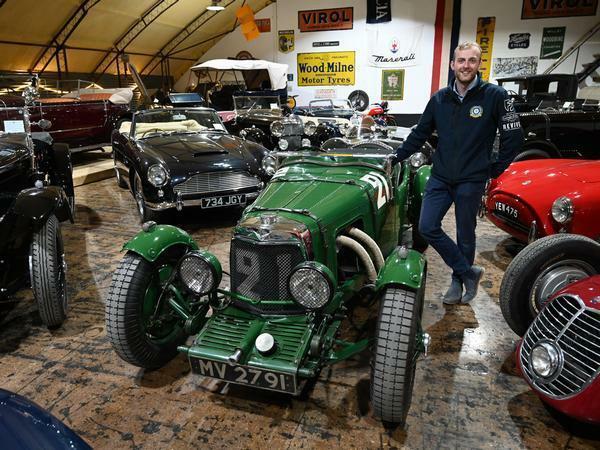 Martin’s PA and Event Organiser Angie Ponting plumped for the £140k Alvis B20 VDP Tourer “for its Downton Abbey feel” and the $3 million 1969 Ferrari 365 GTS V12 as her money-no-object choice. One of just 20 built, the GTS isMartin’s prime choice too, partnered by a sumptuous black Alfa 8C Competizione with fitted luggage. These cars might not be the best-driving Alfas ever, but their spec and rarity means they command strong money: in this case, £200k. All these picks were made from CMH’s existing on-sale stock, but some of the cars at the main Gloucestershire site (there are loads more at another facility in Oxfordshire) aren't for sale. They’re in storage or being worked on by CMH, a service that’s on offer to those storing or selling cars through The Hub. 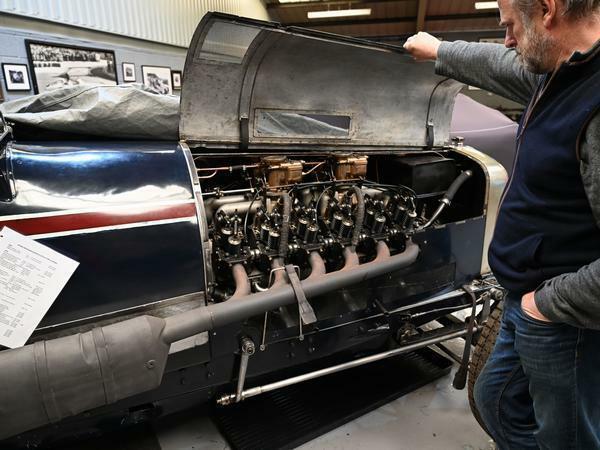 Leant against the wall of the private collection room that contains an assortment of these NFS classics are two enormous engine blocks built by Delage for the 1924 10.5-litre V12 Land Speed Record car next to which we are now standing. 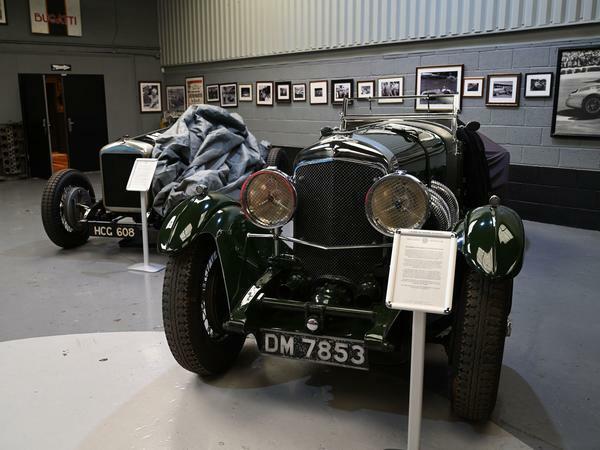 This is one of the few cars ever to be awarded a Brooklands 130mph badge. The thought of piloting this bellowing leviathan around that track at that speed is sobering to say the least. You may have seen the iconic shot of it in period with all four wheels off the ground. 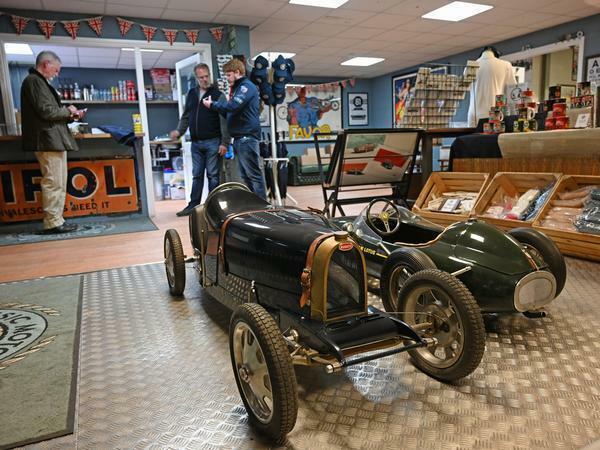 Martin has driven this beast at Montlhéry and tells an amusing story about the steering wheel’s unexpected role as a safety belt when negotiating large bumps at speed. Chisholm believes that pre-war cars suffer from unreasonable expectations of unreliability. “People are frightened of pre-wars, they think there’s a lot more work required to keep them going, but there isn’t.” One monster that looks built for the long haul in every sense is CMH’s 1926 Hispano-Suiza H6B Double Phaeton. A singular choice of maharajahs and movie stars, and as much a large piece of jewellery as a car, this exquisitely restored and wonderfully detailed creation features a 6.6-litre straight six engine with a 35lb crankshaft milled out of a 600lb steel billet. Eeeh, they really didn't mess about in the old days. 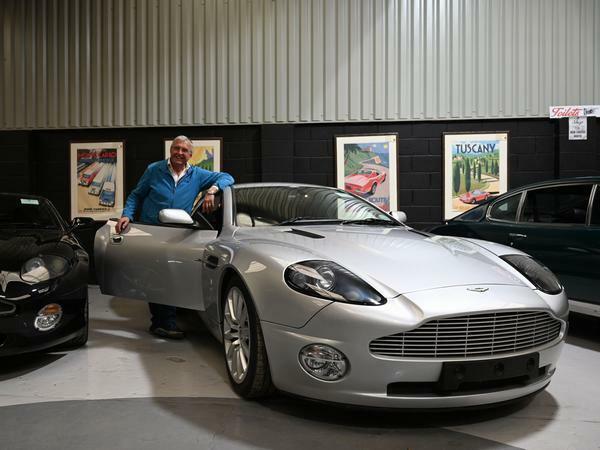 Who’s this smiley silver-haired gent polishing an Aston Vanquish? It’s Colin. He ran his own butchery business nearby until Martin offered him a job he couldn’t refuse. Like everyone else here, Colin wears the permagrin of someone who has found nirvana. “Working here is sheer paradise,” he says. “Martin is a lovely man, so fair. Don’t tell him this, but I’d probably work here for nothing,” he whispers. No worries Colin, your secret is safe with us. 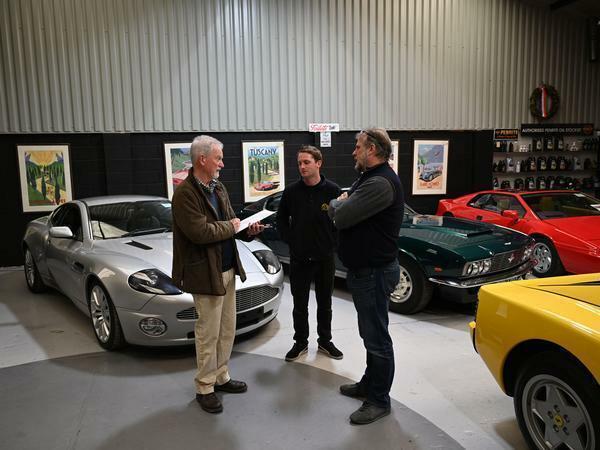 His own sparkling 39,000-mile non-turbo Lotus Esprit (on sale at £20k) sits alongside a deeply desirable Aston DBS V8 manual in sea green with black leather. That’s got a £250k ticket on it, but in this dreamlike atmosphere that seems entirely reasonable. 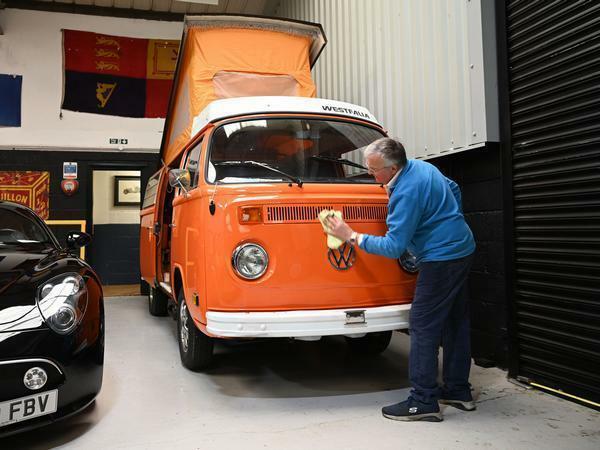 When he’s not helping with the storage side of the business or buzzing around the showrooms with his microfibre, Colin supplies the bacon butties for the Coffee & Classics events that take place here on the first Sunday of every month. The first C&C day of 2019 is happening on April 7th, but the unexpected success of these events means you now have to pre-register to get your car onto the 250-berth hard standing space – a situation you suspect Martin wishes he could have avoided, but on balance he’s happy because everybody else is happy turning up in the certain knowledge that they’ll be getting in. 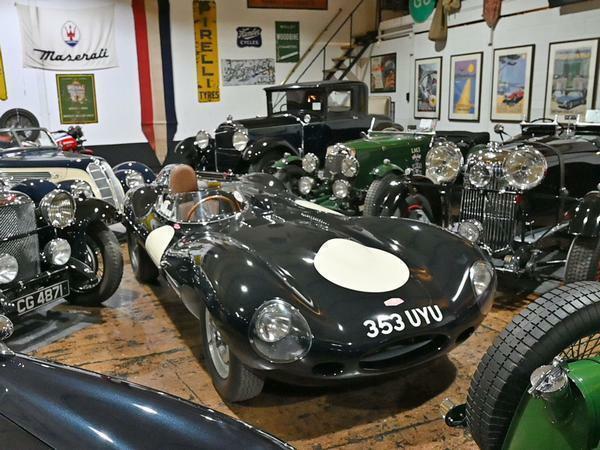 Walking on through the complex we find ourselves in a room that, with the simple addition of a couple of real ale pumps and the appropriate licence, would surely be the world’s finest motoring chin-waggers’ pub. Leather chairs and sofas dot the entire premises. Memorabilia is literally everywhere. “I’m going to be one of those people found in their house with all the stuff piled up around them, buried under memorabilia,” laughs Martin. What with that and all the rolling metal on display, you could easily spend a week in there (fuelled by excellent coffee and snacks) and still be left wondering what you’ve missed. That’s OK though. There’s always a next time to go back and look at the real fantasy tackle – like a pre-war Bentley – or cars like the 355 Spider that could almost be within reach after a spot of light remortgaging. On everyday affordable ones to nab now, here are a few recommendations from one of CMH’s sales gurus, Nigel Bowen-Easley: Mercedes W124 and W140, R230 SL500s, BMW 6 and 8 Series, E30 BMWs, Capris, early modern-era Jaguar XJRs and XJSs, DB7s. 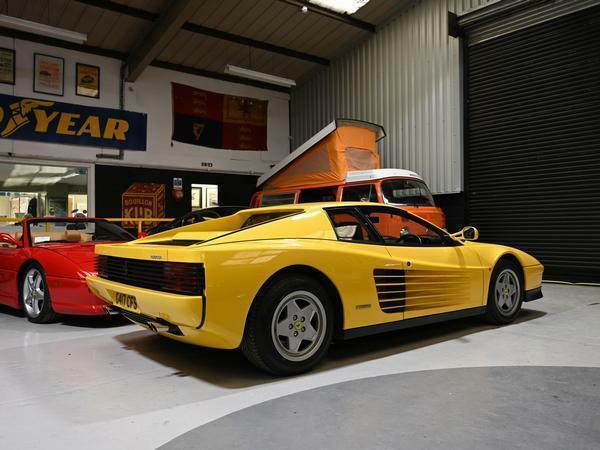 You may think we’re overselling Classic Motor Hub here, and of course you should always form your own opinion. Don't go there if you’re trying to hang on to whatever bit of cash you might have and you aren’t that strong willed. Otherwise, it’s massively recommended. This really is the sort of place that will get you thinking about selling your house and trying life in a motorhome. Or possibly a tent. 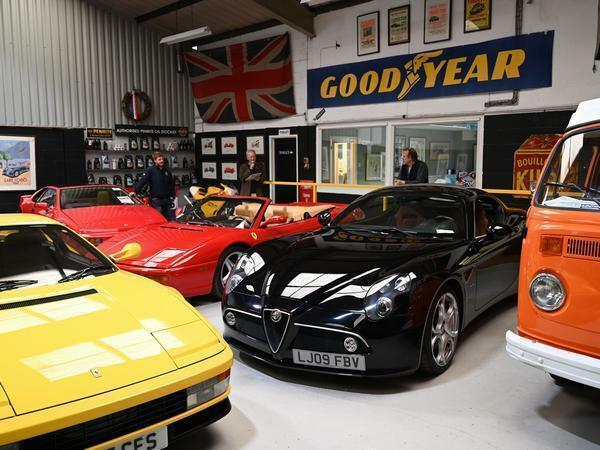 The next Classic Motor Hub Coffee & Classics event is 10am-1pm on 5 May and is Italian-themed. After that there’s an unthemed C&C on 2 June, followed by a British-themed day on 7 July and a German one on 1 September. Between those last two you’ve got a summer BBQ between 5pm and 10pm on Saturday 20 July. To pre-register for any of these events, go to their website. Do it quick though. Been on a few of the ‘open days’ - if the weather is right there is barely a more glorious petrolhead morning out. If it’s raining, then all indoors. And the car park is as interesting as the stuff in the halls. I know it's throwing stones inside a greenhouse but every time I see a VW Camper in a 'Classic Car' showroom, a bit of me dies inside. Their value (considerable) is buoyed entirely by people who missed the 60s and want to see if they can buy it back - otherwise they're impossibly crap. They're entirely impractical as campers or even as vans or - indeed - as a form of transport IMO - 'classic' is not the term which should be used. Sometimes people like things you don't. Don't let it upset you. As an owner of a '66 original Beetle, I feel your pain, I never understood the value these campervans command and agree on all your comments regarding their performance etc, but, the Beetle is in a different league and cant be compared to the campervan, my beetle can quite happily buzz along at normal speeds with modern traffic with its 1300cc engine, as its alot smaller than the campers. Respectfully, I think that honor jointly goes to the Ford Model A and Austin Seven. Well, I just took a look at the British day as i thought it might be a nice day out for my 1937 Rover. My oversight for missing off Rover - I'll update that now! As for the charge, all our regular Coffee and Classics are free, whilst our Italian, British and German days are £5 a car, which helps us to cover the addition costs incurred on these special themed days. Look forward to seeing your Rover in July! The yellow Ducati half way down was my bike! Spent an absolute fortune on it and loved it to bits. Nice to see it again.